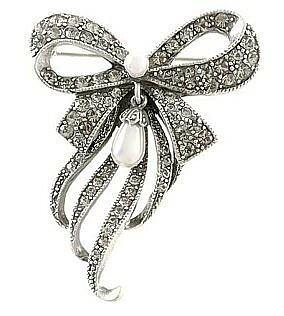 Enchanting BowTie with cascading "ribbons" and swinging teardrop pearl. Created with antique-silver finish and crystals. Size: 5 x 4cm.